When you order anything with guacamole at Chipotle, the burrito expert working on your meal will almost always say, "That's extra. Is that OK?" And usually you laugh and laugh. Of course it's OK! But the time to laugh might be over very soon. Because if the price of imports from Mexico is taxed 20%, guac is about to get super-duper expensive, according to reporting by TheStreet.com. 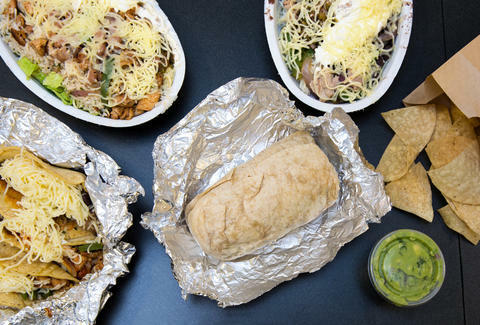 If President Trump's 20% tax on imports becomes a reality, it'll hit Chipotle right where it hurts, as many of its ingredients are sourced from Mexico. Ninety-three percent of Hass avocados and 71% of tomatoes are grown in Mexico and shipped here, and last we checked, those are still bedrock ingredients in any decent burrito. TheStreet notes that Chipotle uses a staggering 97,000lbs of avocados each day to make guac. If the tax happens, the company will have two options: raise menu prices or take a hit in profits. We hope it makes the decision that benefits your wallet. Another potential side effect by raising taxes on imports is that delicious Mexican beer gets a whole lot more expensive, too. So to help yourself feel better about your guac potentially becoming more pricey, we recommend raising an American craft beer. Lee Breslouer is a senior writer for Thrillist, and needs a beer. Follow him to cheap avocados @LeeBreslouer.